Egg Cups are the best. Very little time investment, maximum return. Kids love ’em, busy professionals love ’em, athletes love ’em. Here’s a twist on the classic egg cup that’s sure to get the whole family involved. Any recipe where each person gets to choose “toppings” is always a great way to introduce young kids to working around the kitchen and making healthy choices. AND… How rewarding is it for little ones to eat something that they made?! For this recipe, make the egg base and pour it into your muffin cups, leaving room to add fillings/toppings. Then set out a variety of healthy, yummy foods for everyone to customize their own cups! Preheat your oven to 375. 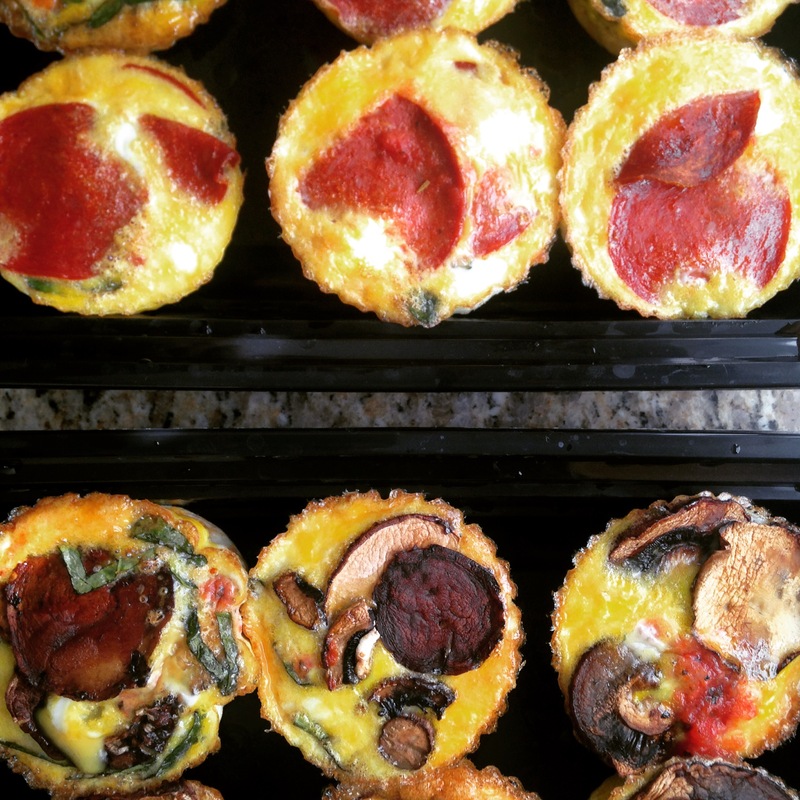 I suggest you line the muffin tin with silicone muffin liners… it will make life much easier. Spray some coconut oil spray too! In a bowl, whisk eggs with a little pepper and salt. Pour into each cup evenly, leaving room for toppings. Take a small spoonful of pizza sauce (maybe 2 tsp.) and slide it into the center of the egg mixture in each cup. Add toppings until cup is full but not overflowing. Bake 10-15 mins or until the center of the cups does not jiggle.